Home » Honda Passport » 2019 Honda Passport vs 2019 Honda CR-V: What Are the Differences Between Honda Crossovers? 2019 Honda Passport vs 2019 Honda CR-V: What Are the Differences Between Honda Crossovers? With the debut of the all-new 2019 Honda Passport, many faithful Honda drivers have a decision to make when it comes to their next purchase or lease. When it arrives, the Honda Passport will slot in between the 2019 Honda CR-V compact crossover and the three-row 2019 Honda Pilot, and many car shoppers want to know – what are the differences between the 2019 Honda Passport and 2019 Honda CR-V? Find out with this quick guide at Howdy Honda! READ MORE: What Are the 2019 Honda Passport Trim Levels and Features? 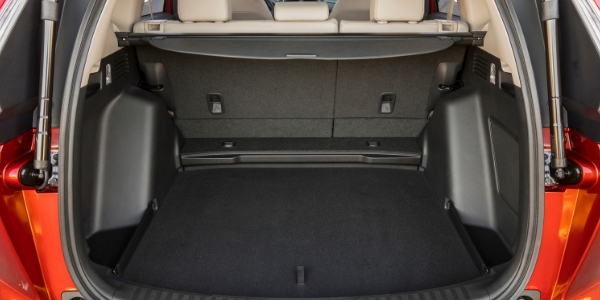 An impressive entry in the compact crossover segment, the 2019 Honda CR-V will make room for five passengers in a spacious cabin that adds a capable 39.2 cubic feet of cargo space behind the rear seats. Families who choose the Honda CR-V compact crossover will have a choice of four-trim levels – LX, EX, EX-L and Touring. 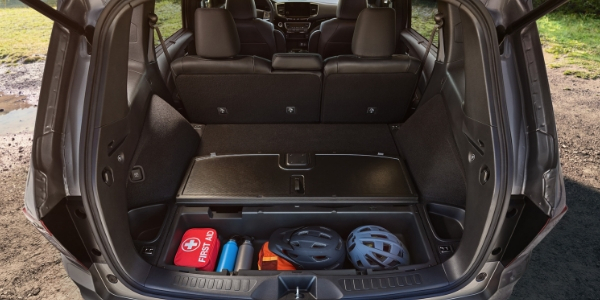 A larger, more powerful entry in the Honda lineup, the Honda Passport makes room for five passengers in a cabin that provides 115.9 cubic feet of passenger space and possesses 41.2 cubic feet of cargo space behind the second row. Honda Passport entries are available in four grades – Sport, EX-L, Touring and Elite. Developed to provide families with a crossover that is at home on the road or the trail, the 2019 Honda Passport employs a 280-horsepower 3.5-liter i-VTEC® V-6 gas engine that is married to a nine-speed automatic transmission. Families who love to take the road less traveled can opt for i-VTM4™ all-wheel drive with an Intelligent Traction Management system that is available in Sport, EX-L and Touring trim levels and standard when you upgrade to the Passport Elite. Honda CR-V entries promise an impressive combination of power and efficiency with two four-cylinder powertrains. Entry-level Honda CR-V LX trim levels employ a 184-horsepower 2.4-liter four-cylinder engine that pairs with a Continuously Variable Transmission. With an upgrade to Honda CR-V EX, EX-L and Touring trims, you will gain access to a 190-horsepower 1.5-liter turbocharged four-cylinder engine that is married to a Continuously Variable Transmission. Honda Real Time AWD with an Intelligent Control System™ is available for all trim levels. Technology is a focus for many families on the go and you will find no shortage when you explore this Honda Passport vs Honda CR-V comparison. Honda Sensing® safety systems upgrade safety at every turn and come standard for all Honda Passport trim levels. Honda CR-V EX, EX-L and Touring models all come standard with Honda Sensing®. Base Honda Passport Sport trim levels keep families entertained with a 5-inch color display and 215-watt sound system. 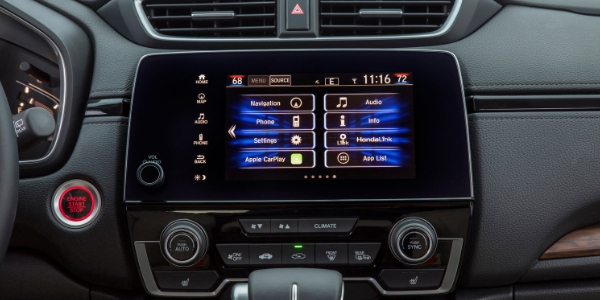 An upgrade to Passport EX-L, Touring and Elite trim levels will add an 8-inch Display Audio touchscreen infotainment system with Apple CarPlay® and Android Auto™. Entry-level Honda CR-V LX editions employ a 5-inch color display with Bluetooth and a rearview camera. 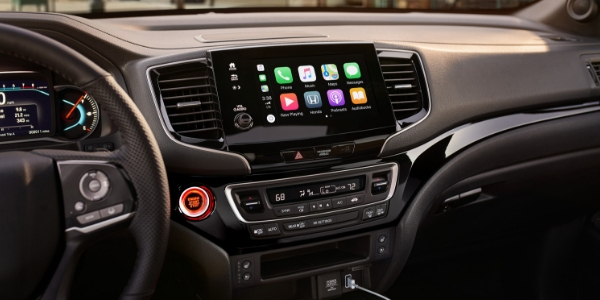 Honda CR-V EX, EX-L and Touring entries play host to a 7-inch Display Audio touchscreen infotainment system with access to Apple CarPlay® and Android Auto. Are you interested in a family-friendly Honda crossover? Explore the differences between the 2019 Honda Passport and the 2019 Honda CR-V with this quick comparison that will help you find the right fit. Visit the Howdy Honda inventory today to find a Honda car, truck or crossover that will fit your lifestyle and budget! This entry was posted on Wednesday, January 16th, 2019 at 9:11 am	and is filed under Comparisons, Honda CR-V, Honda Passport. You can follow any responses to this entry through the RSS 2.0 feed. You can skip to the end and leave a response. Pinging is currently not allowed.